Technology is the beating heart of the hotel. Without a PMS, how would we even begin to serve guests? Without distribution channels, how would guests book rooms? Without a CRM, how would we create loyalty? Right now, most hotels get away with disorganized technology, because they’ve had no choice. Legacy systems haven’t meshed with new cloud-based systems and a patchwork of different technologies for different purposes have been cobbled together. As with cooking, everything works better when all the moving pieces work together because no one tool does everything on its own. 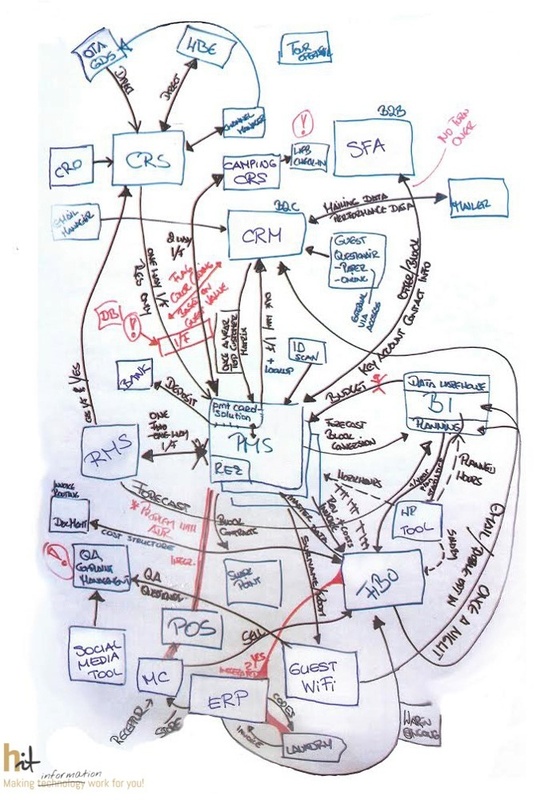 Right now, we have all of these systems—the PMS, CRS, CRM. Then there are the ancillary tools, such as mobile check-in, travel review monitoring, social media tools, distribution tools, forecasting technology, room allocation software, and so forth. Multiply each of these by four or five and maybe, just maybe, you’ll get close to the number of different systems that must integrate in order to keep a hotel running. And the biggest problem is that they rely on one another, but they don’t play well. They don’t integrate, at least not with ease. We have each of these systems with its own data, and one system’s data isn’t talking to another system’s data without complicated intervention. It’s a mess. But it doesn’t have to be. Instead of this mess, it should be structured and organized, much like Julia Child's peg-board full of organized pots and pans. While organization is useful of course, the key value is having each and every piece of technology integrated. No more missing pieces—data falling off from point A to point B. No more silos, where data from point A can’t even get to point B. If A needs B in order to work, it’s right there, ready and waiting. The ramifications of a fully integrated tech stack are many. Creating custom applications becomes a possibility because integration is no longer a setback. Guest outreach can be personalized (for real this time). Service levels can be improved—and monetized. Consider if the housekeeping app above speaks automatically to the mobile check-in app, which then triggers a text to a guest with an early check-in option for an additional fee. Or a guest survey app speaks to the email marketing app, which triggers an offer for a guest based on specific keywords the guest used in the survey. 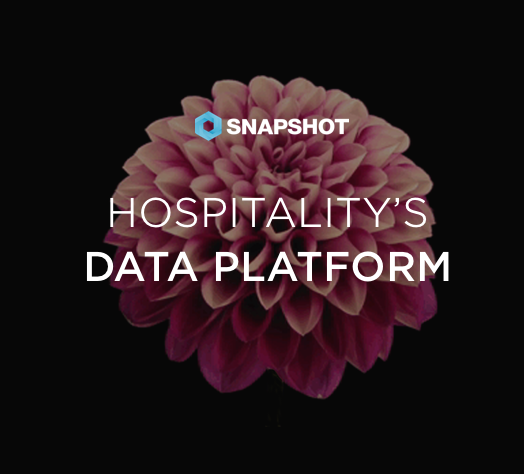 Best of all, a fully integrated tech stack allows hotels to compare all data sets and glean truly actionable insights about their guests and their business - insights that can drive more revenue and more efficiencies. Further, the benefits of a tech ecosystem of this nature include consistent data security and faster communication between technologies. As Todd Hotaling of Lodging Hospitality Management said regarding major issues affecting system integration in the hospitality industry, “My priority is how frequent (speed) and seamless our systems interface (direct connect) with the often urgent and significant revenue-impacting decisions being made throughout the day” (Hospitality Technology). Increased frequency of communication (a by-product of integration) between technologies is the foundation for better information, faster solutions, and, most importantly, increased revenue. 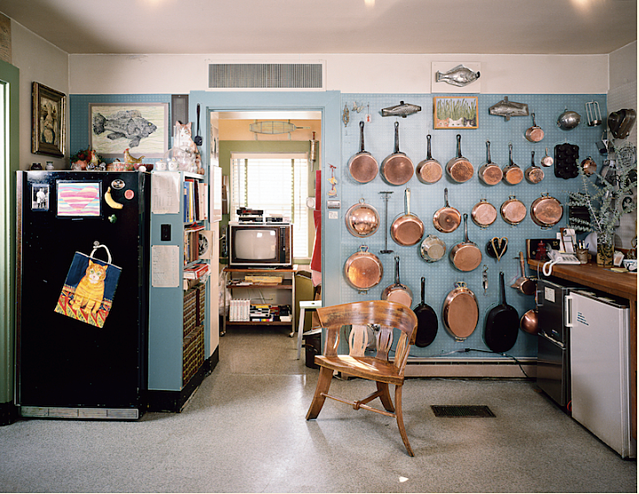 In the 1940s, the University of Illinois formalized the idea of the “kitchen work triangle,” a set of rules that defined the location and distance between the sink, the oven, and the refrigerator for optimal efficiency and use. Most modern kitchens are designed based on this notion that the essential tools of the kitchen work best when they are aligned in a specific way. We are at a critical juncture in the hotel industry, one that requires that our growing number of technologies begin working together seamlessly, that our essential tools are aligned. The beating heart of hotels depends on our redefining the way we organize our technology in a way that we can successfully build upon. It isn’t as simple as a triangle, but it is as accessible.